Turn rMs “suspended screen” in something useful! If you want to utilize your reMarkables suspended screen for showing actual informations rather then just inform you that your rM is suspended right now, you can follow this little hack.. it worked for me and I’m happy with it. First I made a template with the Informations I wanna see when the reMarkable goes to sleep. 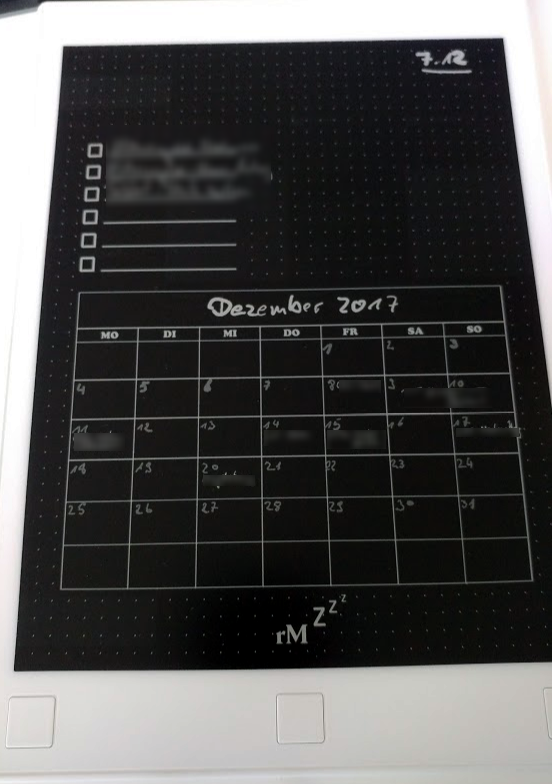 In my case there is a calender template, a todo-list and free space for whatever I wanna draw or write there. After copying the template to the reMarkable I added a new notebook and selected the new template for this notebook. 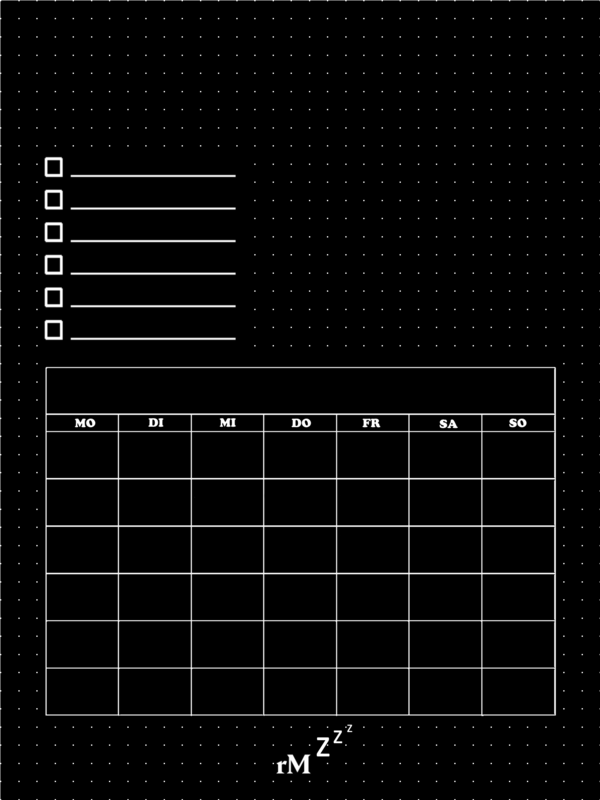 To use this Notebook as your suspended screen you have to find the “ID” it gets on the device. You can use the cached pngs in the <ID>.cached folder of your new notebook (there is one for each page in the notebook 0.png, 1.png …) by generating a symbolic link to that file and name the link “suspended.png” in /usr/share/remarkable/ where the splashscreens of the device are stored. You have to remove the suspended.png in /usr/share/remarkable/ first. Now every time you change the content of the <pagenumber> page of the notbook your suspended screen will show the changes after your reMarkable goes to sleep. This is an excellent post! I was able to follow the easy steps to get it working on my rM tablet to keep my ToDo list visible when suspended. I also found that by simply renaming the suspended.png file to 01suspended.png, I can keep it on device for future use. Then if I no longer want the notebook page displayed on suspend, I rename the symbolic link to 02suspended and remove the 01 from the PNG image and it restores normal functionality (instantly, with no reboot). So I can go back and forth quickly between these two options simply by connecting to SFTP (or by running a simple SSH command to rename them). Also, just FYI for anyone who tries this…I noticed that I have to exit the linked notebook before I suspend the tablet. 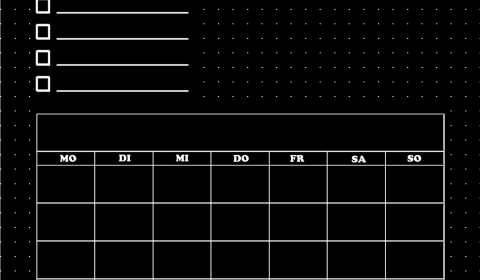 Otherwise, I get a different default sleep graphic overlay instead of having the notebook page displayed.